Got a news release reporting the departure of Bertholf from Alameda California for a Patrol in the Western Pacific which I have quoted below. Normally I would leave reporting of ship deployments to other sites, but, I don’t think this is routine. We have sent cutters into the Western Pacific (since Vietnam). Munro (WMSL-755) visited Fiji and the Solomon Islands in 2018 (Paying More Attention to the Western Pacific, Dec. 8, 2018). Waesche made the trip back in 2012 (Waesche Enroute to SE Asia Apr. 4, 2012).There could have been others, but I don’t think there were a lot more, but coming on the heels of Munro’s deployment this may be a trend. There have been calls for more US Coast Guard presence in the Pacific from New Zealand and from the 7th Fleet. Some, including the previous Commandant see the US Coast Guard as a counter weight to China Coast Guard in the South China Sea. Maybe Bertholf will stop in at Guam and check it out as a possible future base for Offshore Patrol Cutters. We already have indication three Webber class FRCs will replace the two 110s currently there.) Will they operate in the South China Sea? Will they do Freedom of Navigation Ops? Taking Vietnamese ship riders aboard and doing fisheries enforcement in the Vietnam EEZ inside the Chinese claimed Nine Dash Line, could get exciting. Guess we will have to wait and see. Will they have a UAS aboard? And If we have no budget or continuing resolution to pay our people, how are we paying for fuel? On a gray and foggy morning, tears intermingled with rain as family members braved the elements to say goodbye to the 170 crewmembers of Coast Guard Cutter Bertholf (WMSL-750), a 418-foot national security cutter, which departed Alameda, California, Sunday for a patrol in the Western Pacific Ocean. The U.S. Coast Guard has an enduring role in the Indo-Pacific going back over 150 years. The service’s ongoing deployment of resources to the region directly supports U.S. foreign policy and national security objectives in the Indo-Pacific Strategy and the National Security Strategy. As both a federal law enforcement agency and an armed force, the Coast Guard is uniquely positioned to conduct defense operations in support of Combatant Commanders on all seven continents. The service routinely provides forces in joint military operations worldwide, including the deployment of cutters, boats, aircraft and deployable specialized forces. 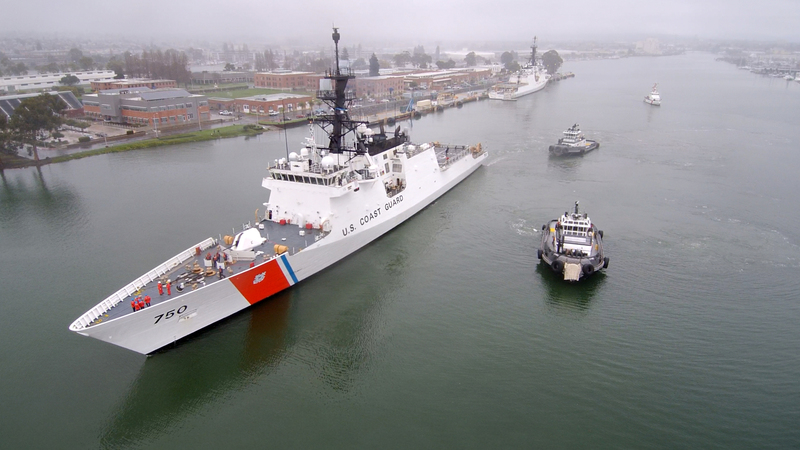 “I’m excited to see Bertholf sail today to the Indo-Pacific region of operations,” said Fagan, who described the cutter as one of the most capable in the Coast Guard fleet. The cutter is named for Coast Guard legend Ellsworth P. Bertholf, who served as captain of the Revenue Cutter Bear during the famous Overland Relief Expedition, earning the Congressional Gold Medal. As the Coast Guard’s fourth commandant, Bertholf oversaw the transfer of the Coast Guard into the Department of the Navy during World War I and advocated for the successful postwar reconstitution of the service. In an address to the families and crew before the cutter set sail, Driscoll emphasized how critical family support is to crew wellbeing and readiness. Fagan acknowledged the current lapse in appropriations and government shutdown has added stress and feelings of uncertainty to the typical emotions that surround a cutter departure. Vietnam Coast Guard Becoming More Military? SeaWaves reports Vietnam is seeking to better define its Coast Guard’s roles and it sounds like it may be moving toward a more military posture. 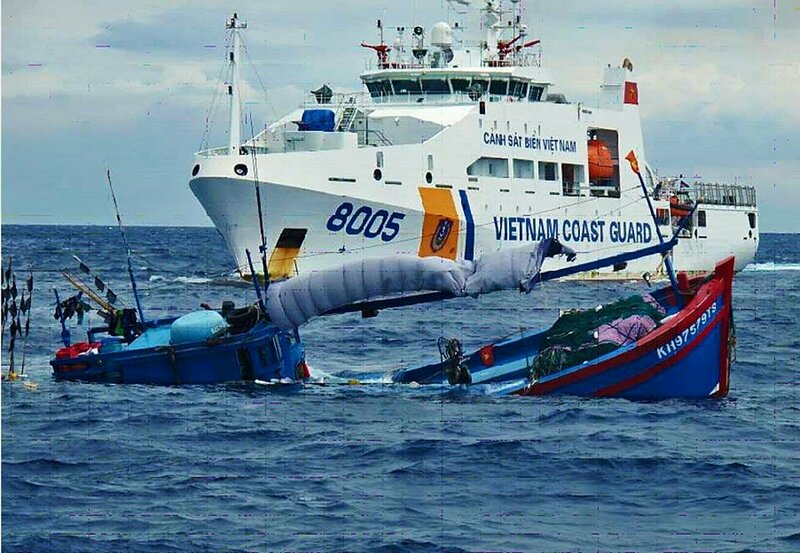 “Therefore, making the Vietnamese Coast Guard a member of the country’s armed forces is an important and necessary step to protect and manage Việt Nam’s maritime interests and resources,” Linh said. 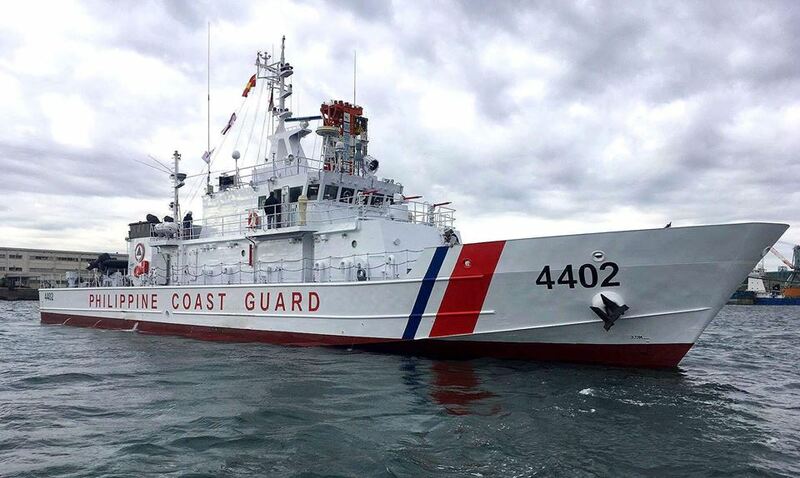 Deputy Nguyễn Minh Sơn asked for the draft law to clearly define the coast guard’s jurisdiction and chain of command to ensure the force can respond to various situations and demands while on patrol at sea. 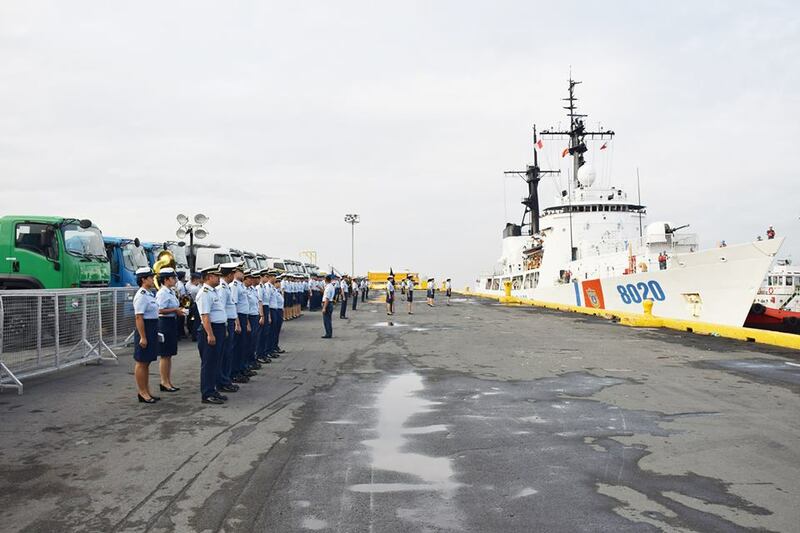 The US Coast Guard has been instrumental in formation of Vietnam’s Coast Guard and Vietnam recently added the former USCGC Morgenthau to its Coast Guard. Vietnam is one of the few countries in SE Asia that actively confronts Chinese aggressiveness in the South China Sea. The Philippine Navy has recently demonstrated a new capability, launching the small Israeli made Spike ER missile from a 17 meter (56 foot) Multipurpose Assault Craft (MPAC). The Spike ER has a maximum range of eight kilometers and weighs 34 kg (74 lb 15 oz). It is similar to the slightly larger American made Hellfire. The launcher is an adaptation of the Israeli Typhoon Remote Weapon Station that is also the basis of the Coast Guard’s Mk38 mod2/3 25 mm gun mounts. The MPAC is a 17 ton 45 knot aluminum assault/attack craft designed to land up to 16 troops on a beach. There are many ways to structure coast guards. They may be military or civilian; part of the defense establishment or in a separate department; multi-mission or single purpose. Here is a story of how the Philippine Coast Guard separated from its parent organization, the Philippine Navy. The narrative may be a bit self serving as it was posted by Fidel Ramos, who was President of the Philippines at the time, and who refers to himself in the third person, as FVR in the narrative.